Justina is using Smore newsletters to spread the word online. 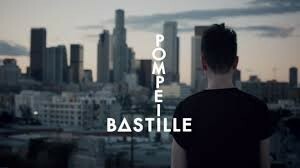 Pompeii is a song that is preformed by a band named Bastille and is composed by Dan Smith and arranged by Jacob Narverud. The time signature of the song is 4/4. The song is broken down into three parts which are: Soprano, Alto, and Baritone (SAB). Both Pompeii and Haven't Met you yet are contrasting songs. Haven't Met You is more about you know....love, love, love, love. Pompeii is a little bit about the city Pompeii and the devastating volcanic eruption that covered the city in ash.